What next after the Major Elite? If your child is too big for a Major Elite, but still needs something to get around in, even if only occasionally, what is the next step? Most children outgrow the Major Elite at around 8 years old, not because they exceed the weight limit of 50kg but because their legs are too long, it has become difficult to push, they are uncomfortable and too 'perched' in the seat. The Major Elite is the last of the lightweight, compact pushchairs in what we might think of as a classic pushchair style, i.e. not looking too much like 'disability equipment'. Although quite basic, it is practical, convenient and reasonably user friendly. It helps make everyday life easier and not be a barrier to doing things. There are some products out there which will take a larger child but they tend to be more clinical, intended for children with more physical needs and are likely to be hugely more expensive (£1,000 +). For most people the next step after a Maclaren Major Elite is a wheelchair. If you search Google for 'Wheelchair' you will find there are thousands of different ones available. 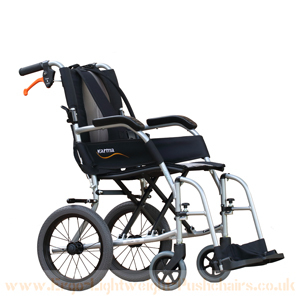 We know that many parents want to avoid a wheelchair for their child either because of the ‘wheelchair’ label or because, let’s be frank, many wheelchairs are heavy, rudimentary, unsightly, uncomfortable and impractical. For you the Ergo Lightweight Pushchair delivers a smart, practical solution to make everyday trips easier. For your child the ergonomic seat with Safety Harness provides mobility with comfort and security.